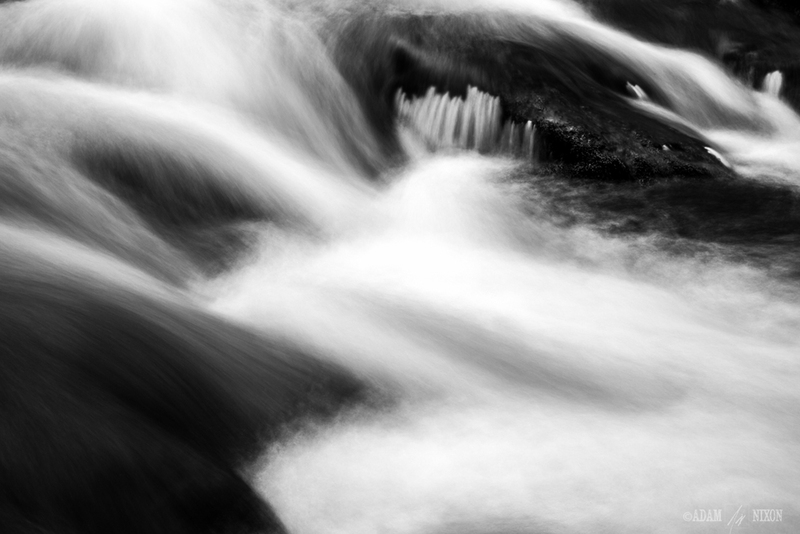 Water Abstract #1, Oconaluftee River rapids in the Great Smoky Mountain National Park. I thought I’d take a break from my current project and post something. My parents’ 50th wedding anniversary is coming up in July and I’m putting together a photo book and DVD as a surprise gift. So I’ve been spending every spare minute scanning 70+ years of photographs and 8mm home movies. It’s fun, but tedious work and I’m getting good experience doing basic photo restoration. The photo below was taken on Melbourne Beach, FL a few of months ago. 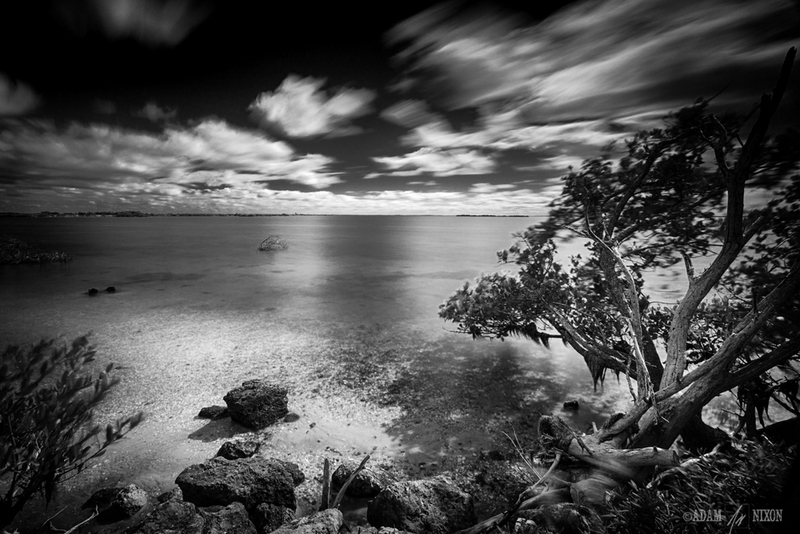 Canon 7D w/ 16-35mm @16mm, 60sec @f/16, with a LEE Big Stopper. Processed in Lightroom 4. 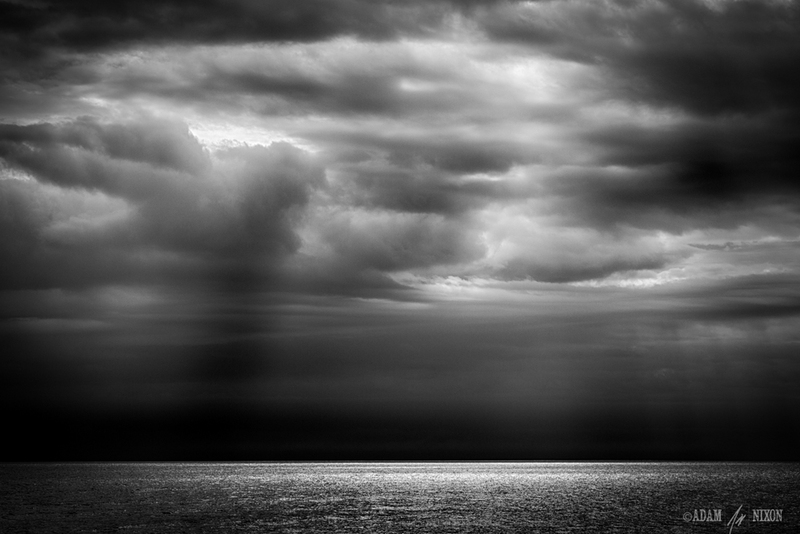 A couple of weeks ago I went down to the beach to photograph a storm front that was passing though the area. Just as I arrived, an area of clouds was opening up and the sun was shining through. I managed to get setup and take a couple of shots before the clearing quickly filled back in with dark rain clouds. Canon 5D III, 24-105mm @82mm, 1/320sec @f/16, ISO 160, Processed with NIK's HDR Efex Pro 2, Perfect B&W and Lightroom 4. Indian River Lagoon, taken from the Peacocks Pocket Rd in the Merritt Island National Wildlife Refuge. Unfortunately, the clouds weren't moving very quickly on this day and the sun was just to my right causing that part of sky to blow out. So I triple stacked some filters to get the exposure up to 120sec and to darken the right side of the sky. Canon 5D III, 16-35mm @16mm, 120sec @f/20, ISO 160, with a Circular Polarizer Filter, LEE Big Stopper and LEE Graduated ND filters. Processed with NIK's HDR Efex Pro 2 and Lightroom 4. “Sebastian Inlet Jetty”, at Sebastian Inlet State Park, FL. It was sixty-four degrees, windy and a completely bald sky. So I pointed the camera down to include more foreground and very little sky (while trying not to get wet). I also, liked the shading & texture of the sand as the waves receded. 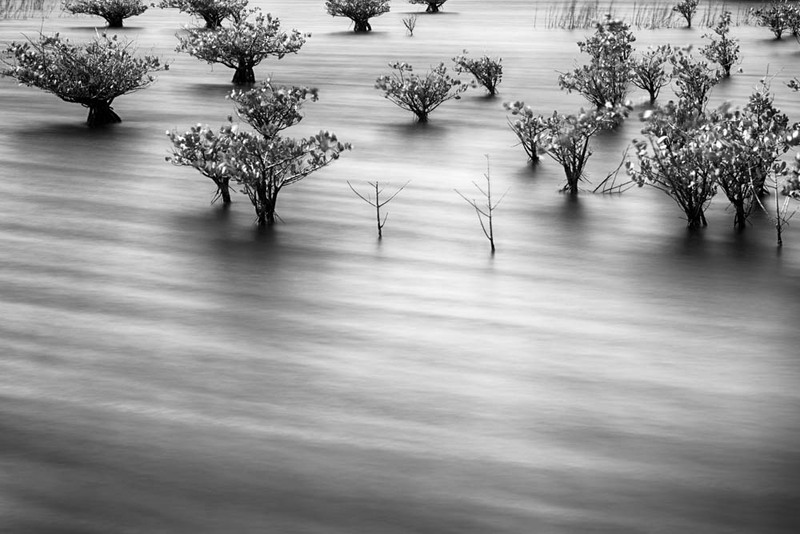 Canon 5D III w/24-105mm @24mm, LEE Big Stopper, 15sec @f/22 ISO160. Processed in Lightroom and Photoshop CS6. St. Sebastian River Preserve State Park in Florida. 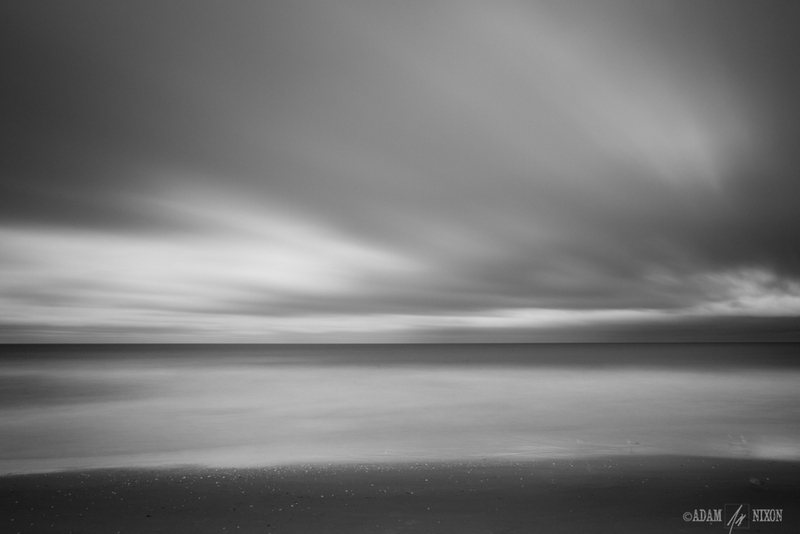 Canon 5DIII w/ 16-35mm @16mm, 60sec @f/18, w/LEE Big Stopper & LEE Graduated ND filters. Processed in Lightroom 4, Photoshop CS6 and Perfect B&W. 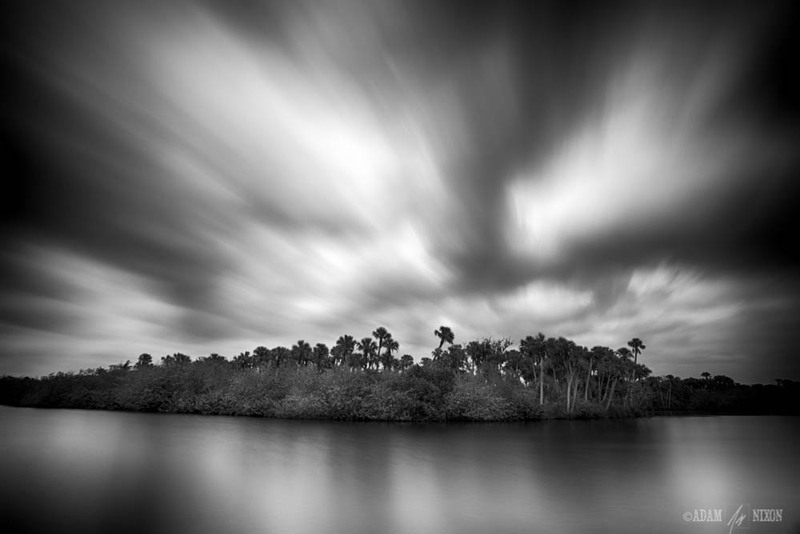 Paradise Beach, Melbourne, FL Canon 5DIII w/ 24-105mm @24mm, 2sec@f/22, LEE Big Stopper. Processed in Lightroom 4. Boggy Pond, in the Merritt Island National Wildlife Refuge. The wind was blowing so hard it was causing the water to be very choppy and foamy. Combine the waves, foam and a long exposure and it produced some very interesting patterns. A couple of days ago I tried to capture a similar self portrait image when I was at the Merritt Island National Wildlife Refuge. I thought a few came out OK, until I got home and saw the images on the computer. Not being too thrilled with my first attempt, I went back yesterday afternoon and tried again. This time I got a few captures that I really liked, and was ready to pack it up and leave, when the sun broke through the clouds for just a few minutes. I quickly captured three more before it hid behind the clouds once more and I'm glad I did. Here's another image from my time spent at Merritt Island National Wildlife Refuge the other day. The train tracks run through the refuge on it's way into Kennedy Space Center. I just liked this view, the tracks look like they go on forever, when in fact about 20 yards behind me they hang a quick left heading into the space center. Canon 5D Mark III w/24-105mm @24mm, ISO 160, 30sec @ f/18. 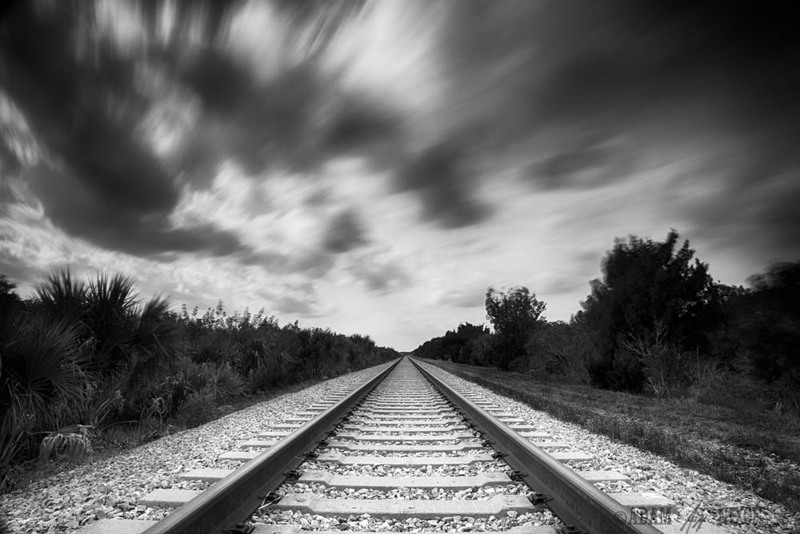 Processed in Lightroom 4, onOne's Perfect B&W and I used NIK's HDR Efex Pro 2 to bring some more detail to the tracks.